Ever thought of cruising in Vietnam? No neither had we until we read this post by the lovely Holly from Four Around the World. The experiences and sights look just incredible and perfect for those out these that love cruising with a bit of added adventure. Halong Bay is known for the breathtaking scenery of limestone rocks and islands, rainforests, and emerald green waters. Located in north-eastern Vietnam, Halong Bay is a cruise experience on most travellers bucket list and a must see when travelling to Vietnam. However, few would consider it a possibility when travelling with a baby or toddler. We decided to give it a go. Since we were hardly going to miss the opportunity to do a Halong Bay cruise during our Vietnam holiday. Halong Bay is a popular cruise destination. With numerous cruise companies operating in the area. Many of these are run on traditional style junk boats, to give that authentic Halong Bay cruise experience. These are both overnight and day trip cruises, with the amenities on the junk cruises being somewhat basic due to the size and age of the boats. Initially the idea of a junk cruise sounded like fun, but on second thoughts. Cruising with a toddler changed my mind. Sure there are horror stories of these boats sinking quickly and unexpectedly due to being made of wood, but there are horror stories for most travel experiences if you ask Google. For us it was more about having the space and amenities to suit our family travel. So instead we chose a more luxurious cruise company. It just so happened we found an awesome deal online for a heavily discounted rate – bonus. I had no idea cruises went there!! What an interesting idea, worth contemplating! 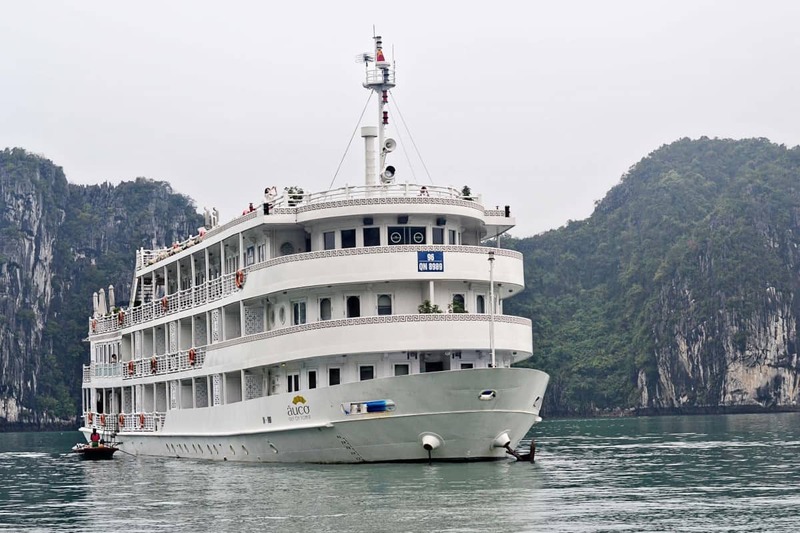 I’d never thought of Vietnam as being a place for cruises either, but it makes sense. Somewhere like Halong Bay sounds perfect. What a fun idea! I’d never have thought of it, but it sounds great!